Jonathan Paquette is associate professor at the School of Political Studies where he teaches in the Public Administration programmes. His current work focuses on organizational theories, cultural organizations, cultural policy and careers in the cultural sector. 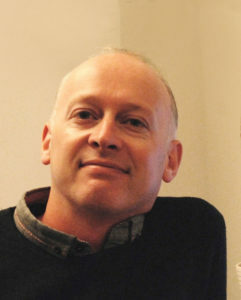 In 2010, Jonathan Paquette was a visiting fellow of the British Academy and a visiting scholar at Leicester University (UK). In 2011, he received support from SSHRC for his research on values, symbolic capital and careers in museums. In 2016, he received funding from SSHRC for a research programme on Heritage Policy in Asia. He was awarded the Roland-Parenteau Prize in 2011 from the Institute of Public Administration of Canada. 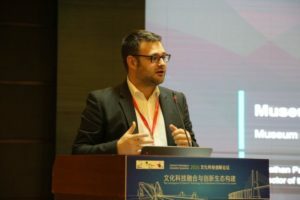 Since 2013, he is associate researcher at the Centre for Cultural Industries of the University of Shenzhen, and a member of the scientific committee of the cultural research section of the Observatorio Politico of the University of Lisbon. He also serves as Executive editor of the Journal of Arts Management, Law and Society published by Taylor and Francis. 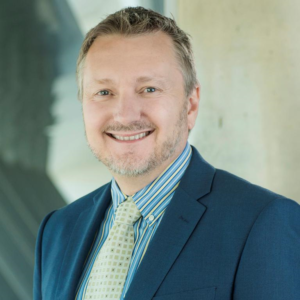 Professor Stephen Boyle is Dean: Academic at the University of South Australia (UniSA) Business School. He is also a Fellow of the Governor’s Leadership Foundation of South Australia. Stephen trained originally as a musician completing an Honours degree in Music Performance at the University of Adelaide and worked with many national and international artists during his career. He undertook his MBA at UniSA and then completed his PhD in cultural economics at Macquarie University. He studied with cultural economist, Professor David Throsby examining the economics of symphony orchestras in Australia. Professor Stephen Boyle’s teaching and research interests are in cultural policy, arts management and the creative economy. He was Chair of the 41st International Conference on Social Theory, Politics and the Arts and is an Executive Editor of the Journal of Arts Management, Law and Society. He is an Adjunct Researcher at the Culture and Leisure Industry Research Centre at the University of International Business and Economics (UIBE) in Beijing, China. He is also a Visiting Professor at UIBE where he teaches classes in the Creative Industries in the Asia Pacific Region. WoongJo Chang, Ph.D. is Assistant Professor in the Department of Arts and Cultural Management in Hongik University, Seoul, Korea. Before coming to Hongik University, he taught in the Arts Leadership Program in Seattle University, where he organized STP&A in 2013. He studied performing arts at Seoul National University and earned a Ph.D. specialized in Cultural Policy and Arts Administration from the Ohio State University. His research is focused on small arts organizations’ entrepreneurial practices and how to support them. His recent works have appeared in books and journals, such as in The Journal of Arts Management, Law and Society, of which he is currently serving as a consulting editor. 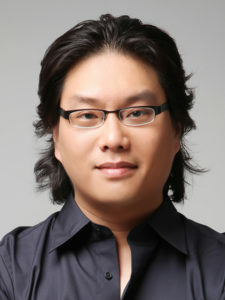 Chang is also a co-chair of the scientific committee of Korean Society of Arts and Cultural Management. Francesco’s work aims at the enhancement of the appreciation of arts, culture, and creativity through individuals, organizations, and communities. 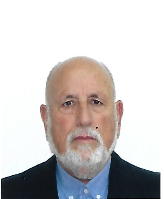 As a researcher, with his publications in arts management journals and his studies of accountability in leading opera houses, Francesco is an authoritative voice in the field of performance evaluation in the arts. As a lecturer at the Universities of Groningen, Bayreuth, and Utrecht he was responsible for courses in Arts Marketing, Arts Management, Cultural Entrepreneurship, and Consumer Behavior in the Arts. Since September 2012 he has been appointed Assistant Professor of Cultural Policy at the University of Amsterdam. In addition, he has been visiting professor at the Erasmus University in Rotterdam and the Universitá Cattolica in Milan. Before starting his academic career in 2007, Francesco was a management consultant, a film journalist, and a pianist. Francesco holds a PhD in Business and Economics from the University of Groningen, a Master of Science in Business Engineering from the University of Tor Vergata in Rome, and a Master of Music in Piano Performance from the Conservatory Giovanni Paisiello in Taranto. Dr. Amanda Coles holds a cross-appointment in the Arts and Cultural Management and Employment Relations graduate programs in the Faculty of Business and Law at Deakin University in Melbourne, Australia. 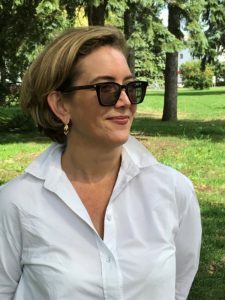 Amanda’s research examines the political economy of labour markets and workforce development in the cultural economy with a focus on public policy, collective representation and gender. She is a Co-Researcher with the SSHRC funded Interuniversity Research Centre on Globalisation and Work (CRIMT) in Montreal, Canada. Her academic career is informed by her professional history in the Canadian independent film and television production sector. B.A. Economics and Social Science. Former Director of the Tel Aviv Museum of Art, The Gutman Museum of Art, and the Israeli Chamber Orchestra. Until 1989: Business consultant specializing in turnarounds and feasibility studies. From 1989: Specializing in strategy and turnaround for cultural institutions and cultural strategies for cities. Chair, Department of Theory and History of Culture at Samara State Institute of Culture, President of Samara Society for Cultural Studies. He graduated from the History Department of the Samarkand State University (1984). From 1984 to 1994 he worked at the Institute of Archaeology of the Academy of Sciences of Uzbekistan. Since December 1993, he has been working at the Department of Cultural Studies of the Samara State Academy of Culture and Arts, where he teaches theory and methodology of culture, comparative cultural studies, cultural anthropology, theory of multiculturalism. He earned the academic degree of Full Doctor of Sciences (D.Sc.) in Cultural Studies from St. Petersburg State University of Culture and Arts (2012). 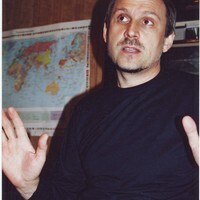 He also received the degree of Candidate of Science (PhD) in History (1990) from the Institute of Archaeology of the Uzbekistan Academy of Sciences He is a member of the British Royal Archaeological Institute, the Central Eurasian Studies Society (CESS), the World Archaeological Congress and other scientific organizations. He is also Head of the International Scientific Workshop “Social Innovation in the Cultural Process” and Chair of the Regional Centre of the International Commission on Urgent Anthropological Research. He is Senior Editor of International e-Journal “Creative Economics and Social Innovations”. Since 2012 Director of the International School for Advanced Cultural Studies at Samara State Instituteof Culture and Arts. He is author of over 300 scientific works, many of them published abroad (in 16 countries), five books, two of which were published in the United States (2002) and Germany (2013), as well as two textbooks in cultural studies. The current scientific projects: phenomenology of culture, cultural dynamics, theory of multicultural transformations and transitional development. 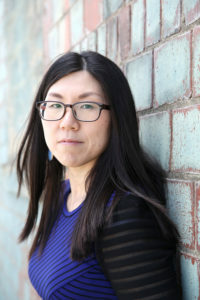 Dr. Yuha Jung is an assistant professor of arts administration at the University of Kentucky. Her research interests involve systems theory and cultural diversity and social justice issues in arts and museum management. She has a number of publications, including an edited book, Systems Thinking in Museums: Theory and Practice. She is an associate editor for the journal Museum Management and Curatorship and a board member for the Association of Arts Administration Educators. She holds an MA in Museum Studies from Syracuse University, MPA from University of Georgia, and PhD in Art Education from Penn State with an emphasis on museum management and education. Soo Hee Lee is Professor in Organization Studies at Kent Business School, University of Kent, UK. 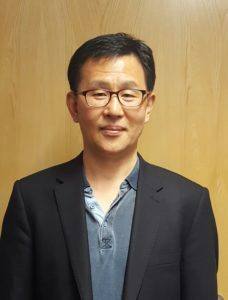 He has also held visiting professorships at the School of Public Affairs, University of Science and Technology of China; the Graduate School of Culture Technology, KAIST; the Creative Design Institute, Sungkyunkwan University and several other business schools. He is the Director of the Creative City Forum in Korea and a vice-president of the Korean Association for Cultural Economics. He is on the editorial board of several journals including Technological Forecasting and Social Change, and Global Transitions. He has published over 50 articles on arts management and cultural policy, science and technology policy, design management, innovation, comparative institutions, and international business. More recently, his research has explored digital convergence and collective creativity in architecture, fashion, food, contemporary visual art and dance. His research focuses on institutional and behavioural underpinnings of organisational dynamics and discourses of knowledge, trust and power as well as policy implications. He is very keen to learn about Chinese culture and history, visiting the country regularly over the past 10 years. Ahava Silkey-Jones is an accomplished non-profit and education leader. She has a passion for building community through the arts locally and globally. She has worked to develop and implement high-quality programming, global education initiatives, and innovative models for school improvement in Chicago, Boston, and Newark. Ahava earned her Ed.M. in Arts in Education from the Harvard Graduate School of Education and her M.A. in Educational Leadership from Roosevelt University. Ahava is currently the Principal of the Perpich Arts High School, a statewide residential arts high school for 11th and 12th grade students. Ahava also serves on the National Arts in Education Advisory Council with Americans for the Arts. 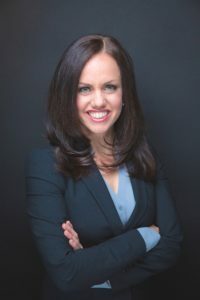 Prior to Perpich, Ahava worked as a school administrator in the Newark Public Schools and as the Director of Fine Arts for the University of Chicago Charter School. Ahava is board president for a non-profit organization she co-founded in Chicago, the Professional Theatre and Dance Youth Academy (PTDYA), which provides performing arts programming for over 600 students per year in under-resourced communities. In 2013 Ahava was recognized by the University of Chicago Urban Education Institute as Employee of the Year for her extraordinary service, exemplary practice, and stellar results. Ahava is fiercely committed to working on system-level equity and policy initiatives, building school and community partnerships, and improving access to quality arts programming for all students. Ben is an Associate Professor in Audience Engagement in the School of Performance and Cultural Industries at the University of Leeds (UK). Prior to his academic career, he worked as a Producer at the National Theatre of Scotland. Ben is the Co-Editor of Arts and the Market and has published widely on arts management, audience research, and cultural policy. Since 2014 he has directed the National School for Arts Fundraising and Leadership. University of International Business and Economics – Beijing. Dr. Wu holds a PhD in Geography from Peking University and the outbound post doctor of Management from Tsinghua University. He is the Director of Research at the Center of Culture and Leisure Industry at the University of International Business and Economics in Beijing. He also is the director of Public Management as well as a post graduate tutor of direction of foreign economic management and the direction of Culture and Leisure Industry Management. His academic position is leader of teaching team of “cultural management” in Public Administration School, the team leader of Research Institute of “International Culture and Leisure Management” in Public Administration faculty. He is also a member of the Professional Committee of Regional Tourism Development of China, a member of the Expert Committee of the Ministry of Culture. He has received awards such as Outstanding Tourism Academic Achievement of National National Tourism Administration in China in 2014, Outstanding Master Thesis Instructor of UIBE in 2014, Tsinghua University postdoctoral interim evaluation “excellent” award in 2006. His research interests and expertise are in cultural economics, creative economy, cultural industries, planning and policy, leisure industry planning and policy, tourism planning and policy economics and cultural heritage. 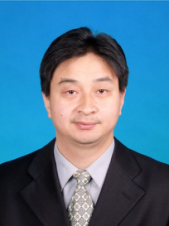 He has published 86 papers in well renowned domestic and foreign journals such as Research on Protection and Utilization of Shenyang’s Material Cultural Heritage – based on the Creative Industry path in C-type periodicals (social science) of Urban Development Research, “the structural relationship between TQM, employee satisfaction and hotel performance” SSCI, in International Journal of Contemporary Hospitality Management. 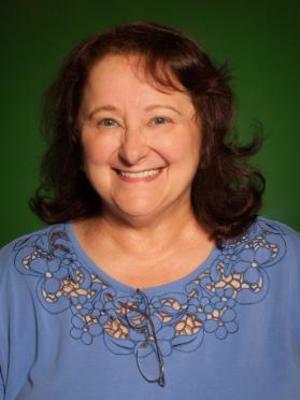 Professor Wyszomirski is a faculty member of both the Department of Arts Administration, Education and Policy and the John Glenn School of Public Affairs. She has served as staff director for the bipartisan Independent Commission on the National Endowment for the Arts, as director of the Office of Policy Planning, Research and Budget at the National Endowment for the Arts, and as director of the Graduate Public Policy Program at Georgetown University. She joined the faculty of the Federal Executive Institute of the U.S. Office of Personnel Management in 1988. 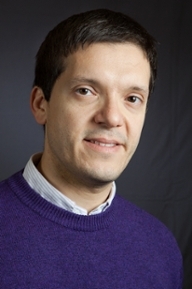 Professor Wyszomirski has been on national advisory committees for a Foundation Center analysis of arts funding, for the economic impact study of arts and tourism conducted by the Port Authority of New York and New Jersey, and for the National Center for Charitable Statistics. She was a founding member of the Research Advisory Committee of the American Council for the Arts, and was chairman of the steering committee for the 1997 American Assembly on “The Arts and the Public Purpose.” She is currently chairman of the Research Task Force of the Center for Arts and Culture in Washington, DC.